You can find family history information in places you don't expect to. Be ready to write it down! After writing today's blog post about the William Frosts, I was watching TV and Googled the name, William Frost, during the adverts. What came up? 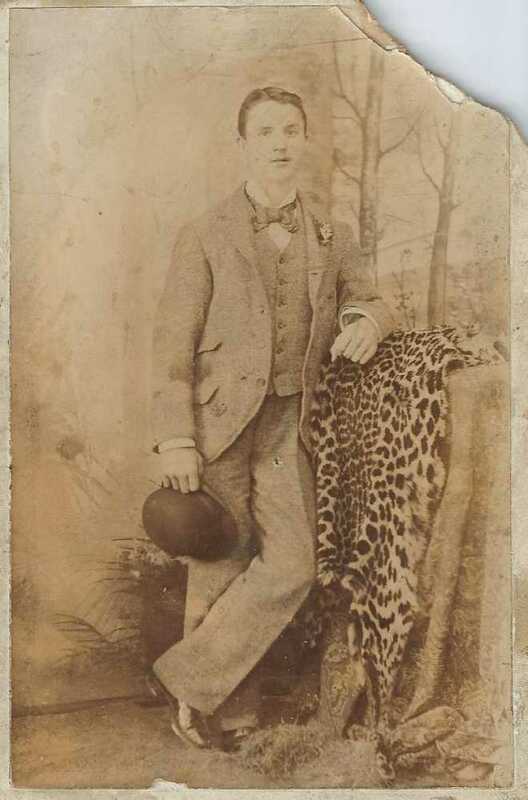 This wonderfully-researched story, titled A Leicester Man in Talana - William E Bonnett, posted on a site dedicated to Anglo Boer war! It mentions William E Bonnett's father, William Frost Bonnett... the second son of Sarah Frost. William Ernest Bonnett was born in Leicester, sometime around June, in 1876, and when he was five years old, the family were living at 134 Brunswick Street in Leicester. Read the whole story here, including a photo of William Ernest Bonnett and pictures of the medals he was awarded. And... if you scroll down into the comments, you'll find even more: a comment and thank you, and more information about the Bonnett family's military service and sacrifices, from John Bonnett, grandson of William Ernest Bonnett... and my third cousin, who I have never met.